Some dedicated stump grinders are over-complicated. Not the Toro STX. Its patented Toro Dingo TX-style control system has two simple levers that are simple to learn, master and use. Combine these easy-to-use controls with tracks and transport speeds exceeding 4 mph, and you get maximum productivity. 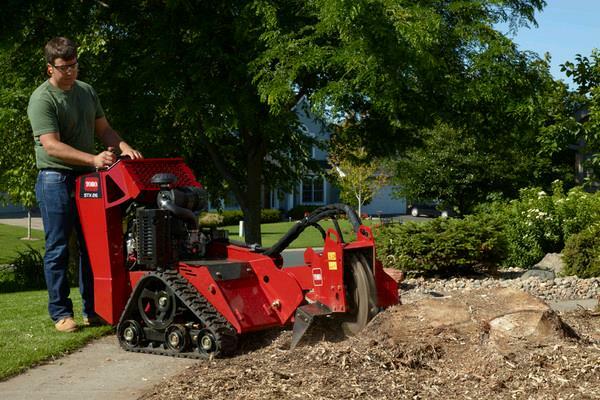 Wet, hilly terrain won't stop you from accessing tough jobs year-round with an STX stump grinder. The tracks travel easily over muddy areas, with the low center of gravity adds side hill stability. In addition, the hydraulically driven head means no chance of expensive belts breaking or slipping no adjusting tension - guaranteeing optimal performs time after time. 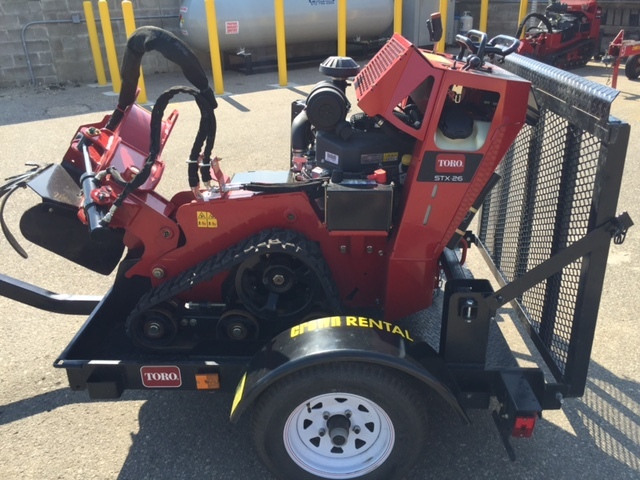 * Please call us with any questions about our stump grinder toro 26hp rentals in Burnsville MN, Rosemount MN, Apple Valley, Minneapolis, St Paul, Twin Cities, South Metro,and Dakota County.